How did you start your game development adventure? How big is your studio now? I knew I wanted to make games since high school. Soon I began learning C++ on my own and made a minesweeper clone and a simple top-down shooter. It was extremely hard to find info on making games though here in Thailand. About the time when I got to college, the internet explosion was just beginning, so with my top-end (at the time) US Robotics 33.6K modem I tried to find and learn everything I could about making games. Fast forward 5 years later, I got bored with my enterprise software development job after a year and decided to resign and start a software company, thus ViquaSoft was born. At that time J2ME games on cell phones was supposed to be the next big thing, so we did a few games for that, but then I discovered the Dexterity forums and decided that developing casual downloadable games on PC was more exciting and might be more lucrative. So we started developing Tommy and the Magical Words and have focused on downloadable casual games ever since. Right now we have 8 full-time people at our office here in Bangkok. We started with 3 in the beginning about 4 years ago and have been expanding continuously. Right now we’re expanding again and are looking for some more good programmers. I am impressed by execution of themes in your game. You surely get maximum fun out of it. Who designs your games? The answer to that question is all of us. All 8 of us are the designers of our games. Then when it comes to the actual designing, we do a lot of brainstorming together. We try to gather everyone’s ideas for the game and choose the best ones. This period consists of lots of meetings where we iteratively refine the details of the game design. You could call this design-by-committee which some say is bad. I’d rather call it design-by-passionate-team :) From our experience if it is managed well then it leads to a well thought out design pretty quickly. With this method everyone in the team gets to exercise their creativity and build their game design skills. Just by listening to the more experienced team members discuss about the design issues, the less experienced team members learn a lot. Also each team member has a lot more personal investment in the game’s design and the game’s outcome. In any case, the producer (me) has the final say though. Everyone understands the reasons behind every design decision which helps a lot, otherwise you have team members arguing and complaining to each other (and me) on design decisions all the time which makes everything go slower. I believe that if you have programmers and artists just developing according to a designer’s vision without being able to give any input, they will feel like machines. Additionally the team members wouldn’t really be growing as “game developers” as design is a big part of game development. So the aim for me is to build everyone’s skill in game design so that together we can create better and better games more effortlessly. And it is tons of fun discussing the game designs together, bouncing ideas off each other. During the design phase it really makes work feel like play and I sometimes feel guilty that I have a job that is so fun. So how do you create a best seller game? At this moment we are tweaking our website to make more social. We have added forum as we get a flood of requests and/or questions about the game. It’s empty right now, but expect feedback from developers directly if you post questions there. Now we also added news/blog section on front page to communicate to our players and post regular news about games that we have in development right now. Go read “Behind Totem Tribe” and mine interview if you haven’t done so already. Jake Birkett is well known in the indie game developers community. He developed Holiday Bonus, The Wonderful Wizard of Oz and Fairway Solitaire. 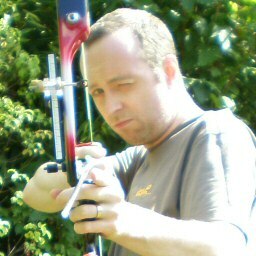 In the end of 2008 he made a transition to Big Fish Games and is no longer indie, but he still works on great games. If you want to learn more about Jake, find out what makes a best seller game and how indies can compete in todays market start reading now. NOTE: In this interview Jake speaks for himself and not as BFG representative in any way. Fairway Solitaire was published over 14 months ago. Isn’t it the time for a new release? When we can expect it? Should we expect another hidden object game? No. BFG in Seattle makes those, we are tasked with making other games in Vancouver. It will be fun to hear what people say about it – mixed opinions no doubt, but as long as the customer love it (and express their love with their credit cards) then I’m happy. Ok, so how did you get started in game development? In 2005 I went full-time Indie after making business software for 9 years in Delphi and SQL. I’ve always made games as a hobby since the age of 8 (I’m 33 now) in BASIC, assembly, C, C++, Delphi, Blitz and probably a few other things along the way. I reached a certain point where I realised that I enjoyed making games so much that I just *had* to do it for a living – so I stopped doing business software and started writing games professionally. 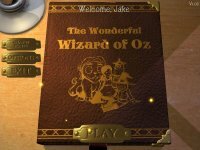 I made two downloadable match-3 games and was contracted by Injoy Games to make a 3rd, The Wonderful Wizard of Oz, which went well. Match-3 as a jump start in game development career? That’s how you’ve met BFG? Emmanuel from Big Fish Games Europe saw Oz and thought it was programmed well and asked if I would be interested in programming a game for them. I had to think about this quite hard because I saw it as great opportunity to learn more about casual games from some of the most knowledgeable people in the industry, yet I also was keen on building up my own business and working for BFG would slow that down. Also frankly at the time I needed the money because, as many Indies will know, it takes quite a long time to build your business up to the point where you are making a half-decent living. In the end I said “yes” and signed a contract to program Fairway Solitaire. However, before I started work on that game I quickly launched Holiday Bonus using an upgraded Oz engine, and it’s done really well for me over the last 2 years. Fairway Solitaire was a great success for BFG. Why solitaire? Solitaires were not so popular at that time? 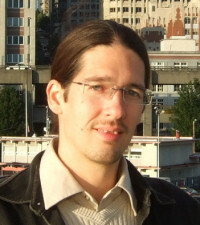 Cliff Harris is a lone wolf indie developer for over 10 years. Yes, he’s been here before the whole casual gaming thing has started. I interviewed Cliff to find out what makes his site and games so special that he is able to earn over $200k a year in direct sales. If you want to know how to become portal-proof start reading. You made almost $200k in 2008. That’s pretty impressive for indie developer. My sales are 10 times worse. What have you done to achieve such great sales? Ahahaha. I didn’t make $200k in 2008. That’s the revenue from direct sales through my main payment provider. I earn other amounts from other deals. And then to find out how much I actually *make* you’d have to subtract all the expenses, and they can be surprisingly high when you actually pay for advertising, and a dedicated server. I guess the way I achieve it is to make games that are not easily copied and cloned, and I put quite a lot of work into promoting them. I also get very into the business side of selling games. if you sell games, and you don’t know which pages on your website have the lowest bounce rates, if you don’t know what the average CPC is for your ads and do A/B testing to increase the CTR…. and much more importantly, if you have no idea WTF I’m talking about, then you are quite simply losing sales to people like me, who study this stuff :D.
Imagine that I know what CTR, A/B testing and all that stuff is… but still my ads are not efficient. Maybe I am just not patient enough? How long do you test them before you pick a winner ad?